I ventured out recently on a hiking trip. It was a challenge and I didn’t know if I had enough strength to endure but I made it through many ups and downs in the hills and on the trails. I saw many bikers, runners and hikers building up their muscles and strength training. As I hiked I discovered, it’s one thing not to know your own strength, but it’s another thing not to know God’s strength. I only made it through that journey by God’s help. He strengthened me each mile. God helped me get through it. God will strengthen you too. 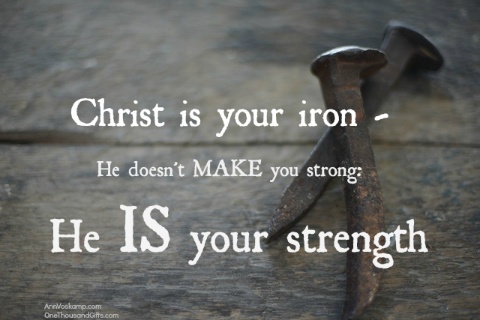 Did you know His strength is perfect? David reminds us of that in 2 Samuel 22:32-33(NKJV). For who is God, except the Lord? And who is a rock, except our God? God is my strength and power, and He makes my way perfect.